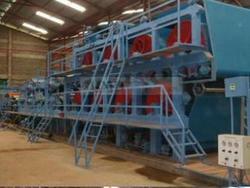 We are Offering a Different Types of Paper Making Machine for Different types of Paper Requirement. Finding use as paper making machine, this MG Single for Drinier Machine meets the requirements of producing kraft paper for packaging bearing superior tear resistance and elasticity properties. 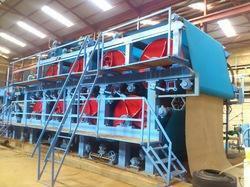 Backed by latest technology support, the machine makes use of softwood pulp as raw material for producing paper. Available with bottom wire length of up to 46 meter, machine width of 2.2m to 4.5m, machine speed of 150 mpm to 450 mpm and capability to produce paper of GSM 100 to 180, the paper made features superior uniformity and formation. Some of its uses include for use on decorative laminates, corrugated cartons, book covers, in paper grocery bags, envelopes, for lining particle boards and others. 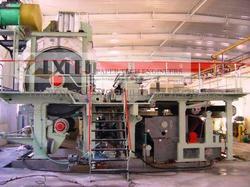 We are offering a Different Types of Newspaper Making Machine for Different types of Paper Requirement. It is engineered robustly using high quality raw material and modern engineering techniques. Our team of technocrats has manufactured a wide range of product in various models depending on their various applications in the industry. To satisfy the needs of our valued patrons from industrial and commercial sectors, we are known to offer a wide range of Paper Making Machines. 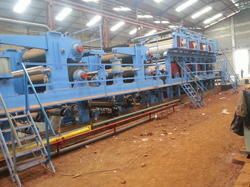 It can be used for general purpose of making paper in several industries. Made by using high quality materials and modern technology, our range of Paper Making Machines is in huge demand amongst our valued customers. Yankee Paper Machine, we are offering either with former Mould or Wire Part, we are providing a smart technologically running paper pick up(Transfer) system, our designed highly precision Head box providing a very lower GSM variation on low grammage paper grade. By capitalizing the skills of our professionals, we are able to provide quality approved Craft Paper Plant to our esteemed clients. This Craft Paper Plant is made at our ultra-modern manufacturing unit using the premium quality components and advanced technology in conformance with defined quality standards. They are easy to use and work efficiently. Our organization give assurance to its clients for the time bound delivery. The advanced Duplex Board Paper Making Machine PLC controls, stainless steel construction of the system and automatic controls also makes the system for optimum performance. Providing for flexible process support, the system provides for consistent quality paper output. Its modular construction finish as well as option of customization as per the preferences of customers also allows us to match up with the specific process needs of the customers. We are the leading manufacturer, exporter & supplier of Cement and paper industry. 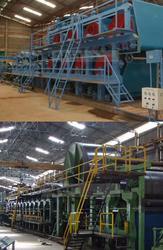 We deal in world's best quality of Kraft Paper Making Machine. 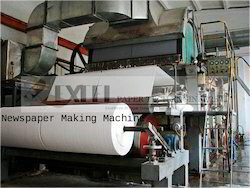 Looking for Paper Making Machine ?